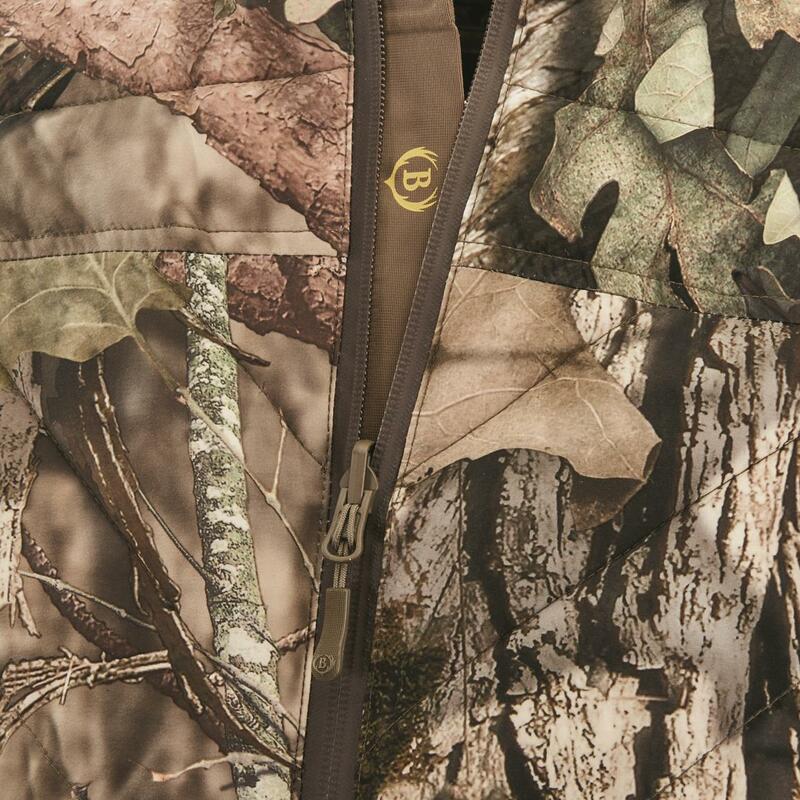 Take your hunt to the limit—and beyond. When you're on the hunt, you take it to the limit. 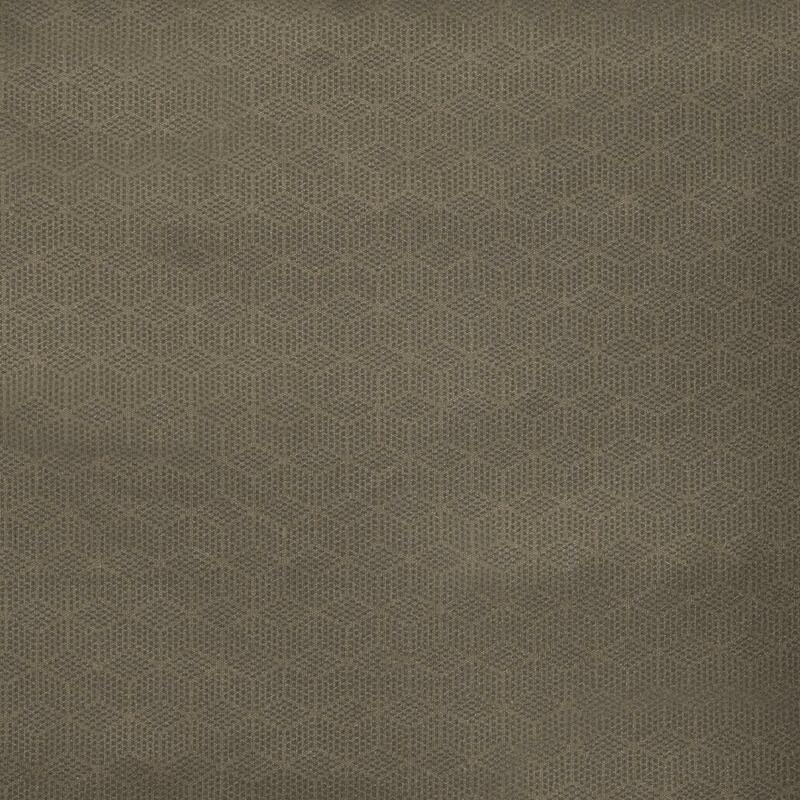 To the outlands, where the risks are real and the rewards are great. 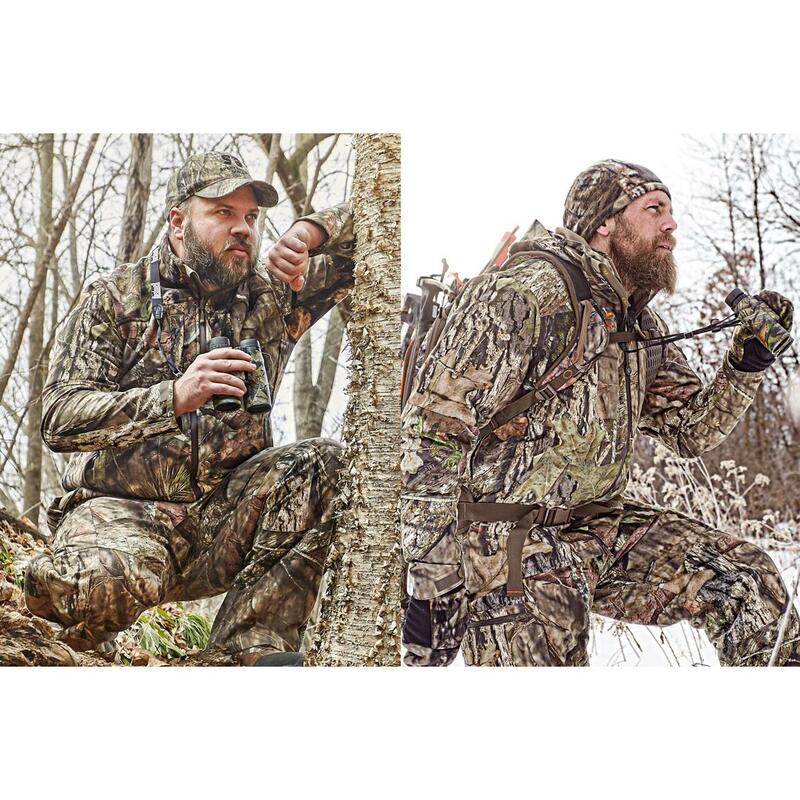 Outlands All-Climate Series was built for hunters like you who never turn back. No matter the weather. No matter the terrain. Because when you're out here, you need to be ready for anything. Now you can be. 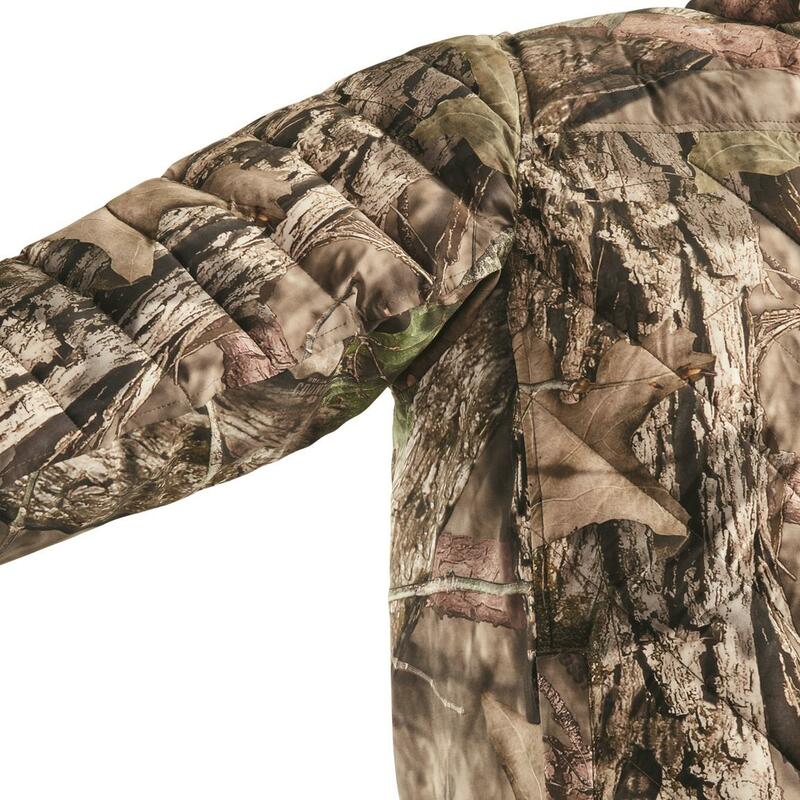 For cold weather hunts and long days in the treestand, this Synthetic Down Insulated Liner Jacket is your insurance policy against frigid conditions putting the big chill on your chances for success. 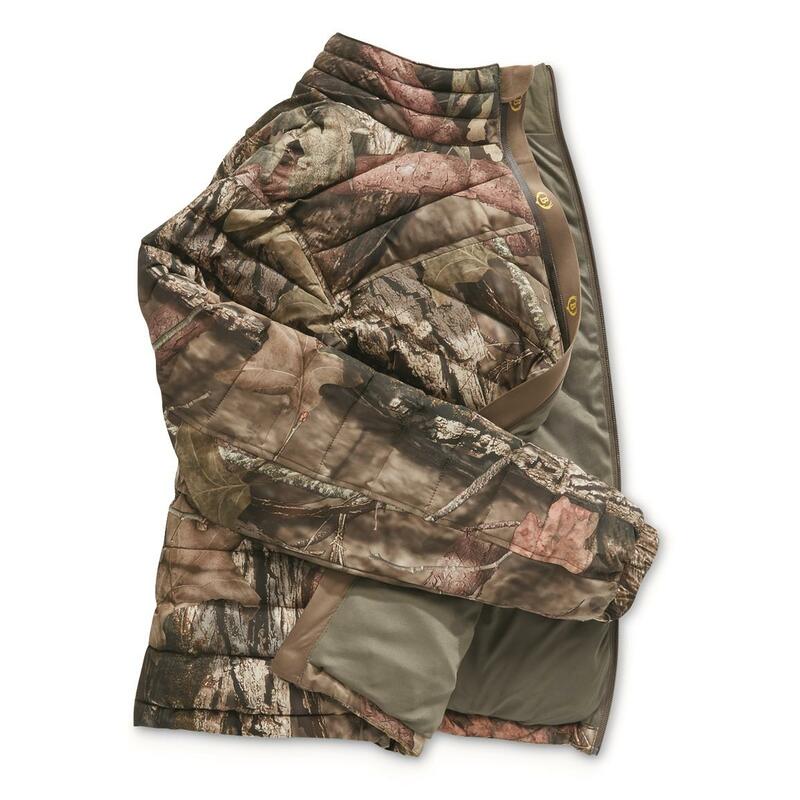 It can be worn as a stand-alone piece or combined with the Outlands Waterproof Parka Shell (item 702713—sold separately) for an outstanding one-two punch of cold weather protection. This Insulated Liner Jacket is loaded with the features that dedicated hunters demand. No need to use up extra energy to ward off that morning chill. Far-infrared ceramic thermal printed lining works overtime to trap in your own body heat, and reflect it back onto you. When the skies are clear and the cold air pierces your lungs, 3MTM ThinsulateTM Featherless Insulation keeps your core temp up, and your concentration zeroed in on your goal. It's strategically placed in core areas that demand extra warmth, leaving you bulk-free performance for making that draw. And unlike natural down, synthetic ThinsulateTM retains its insulating properties even when wet. 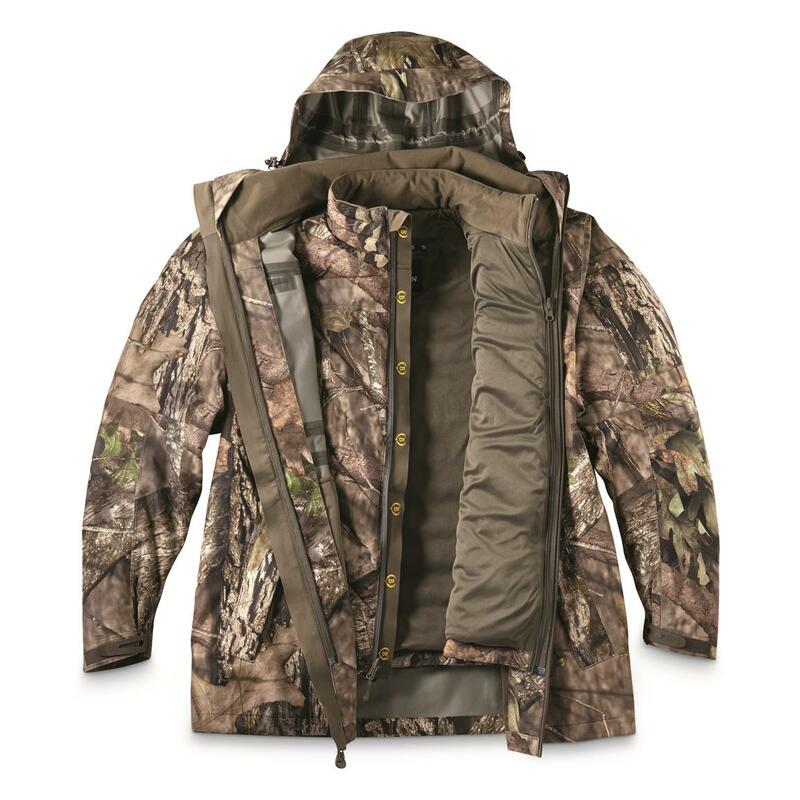 Other smart features include stretch panels along the sides and under the arms for enhanced freedom of movement, pass-through tree harness opening, internal storm placket and 2 vertical welt pockets with zippers. 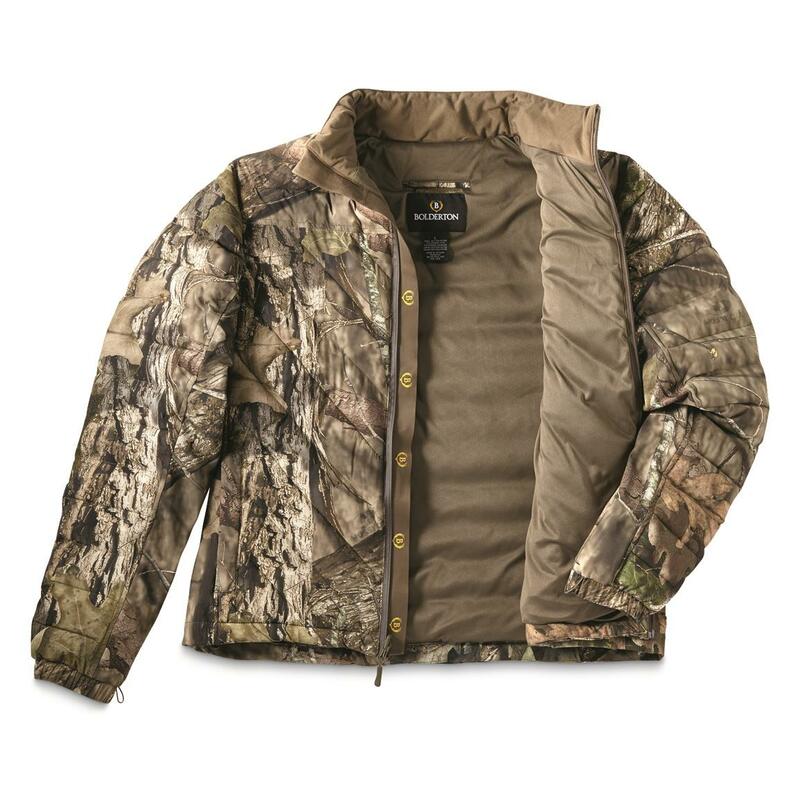 Part of a complete layering system for mid- to late-season hunting, this Synthetic Down Liner Jacket provides vital warmth on its own, or even greater climate control when paired with the Outlands Waterproof Parka Shell (item 702713—sold separately). 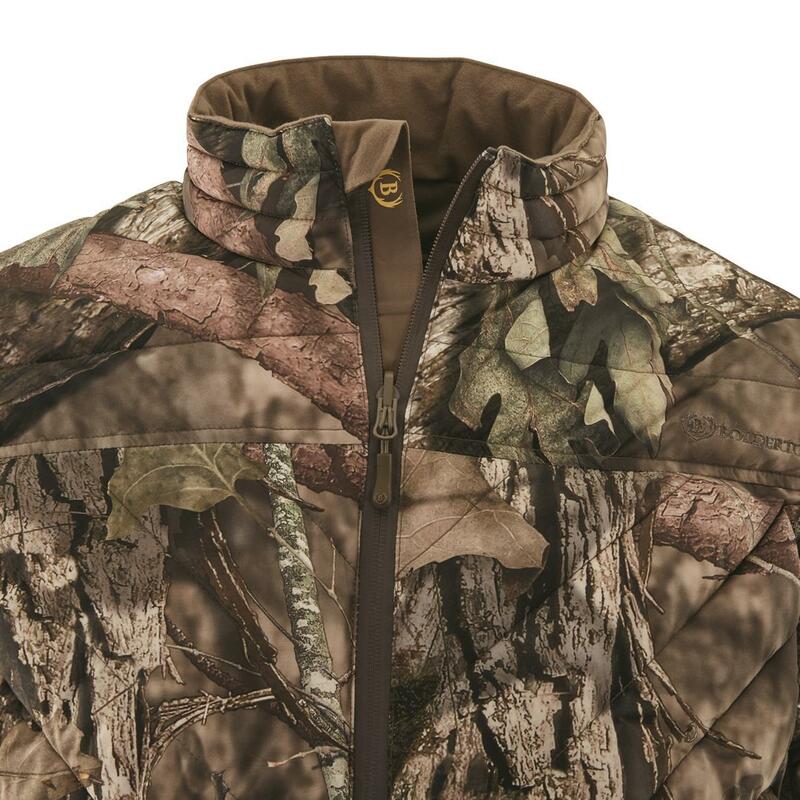 So whether you wear it as a standalone piece on those days without a driving downpour, or snapped into the Waterproof Parka Shell during bone-chilling December deer hunts, you'll appreciate this awesome layering piece. Totally versatile. Completely adaptable. All designed to keep you moving toward success. 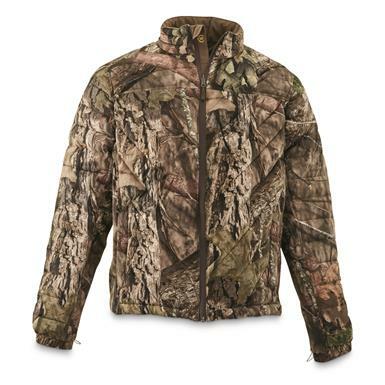 Bolderton Outlands All-Climate Series Synthetic Down Insulated Liner Jacket is rated 3.0 out of 5 by 1. Rated 3 out of 5 by JimArmydood from A little loud. 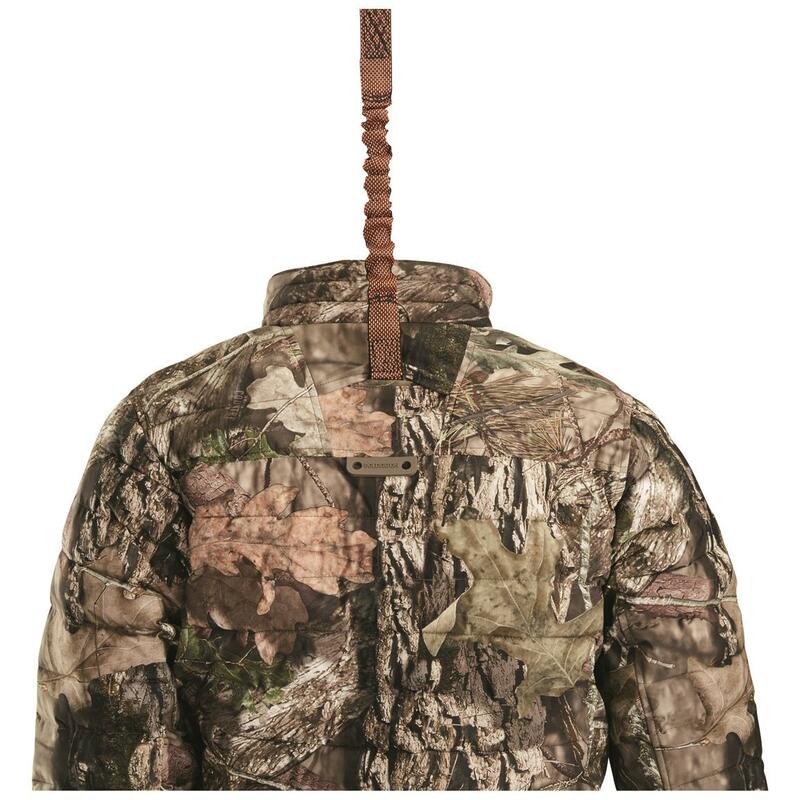 For wearing by itself for hunting, especially bow hunting, this item makes to much noise during movement. I plan to use it as extra insulation under a water and wind proof shell. This should get rid of the noise. Good quality, fit is on target.